If you want to sell your products online I can create an advanced eCommerce website to grow your business. If your competitors are selling their products online you are losing business every minute you wait to create an eCommerce store. Creating an eCommerce storefront is a lot of work but it can certainly pay for itself by selling your products for you 24/7/365. I will handle every aspect of your advanced eCommerce website from the design and layout to taking pictures of your products and ensuring your website is secure against hackers and fraudulent transactions. The only aspect of your eCommerce website that you will have to handle is shipping the products to your customers in a timely manner. Every eCommerce website I create is secured with a Comodo SSL certificate that can carry up to a $250,000 warranty. These certificates will protect your company from fraud and their site seal will assure your customers they’re making a purchase from a reputable company. The specific SSL certificate I recommend to clients is the Comodo EV SSL certificate. 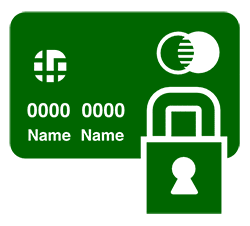 This is the SSL certificate many large online retailers use and you may have noticed the green bar and lock symbol prior to the website address when visiting an eCommerce site with this certificate. I get much better pricing than what is listed on their website for these certificates and believe it’s a small price to pay for top notch security. For small businesses WooCommerce, which runs on WordPress, is the best eCommerce option. It’s one of the most popular eCommerce platforms and is fairly simple to manage. An advanced eCommerce website can help your business grow by selling your goods and services for you 24/7/365. Combined with a Comodo SSL certificate you can rest assured your eCommerce store will be protected from fraud. Their site seal will assure your customers they’re making a purchase from a reputable company. 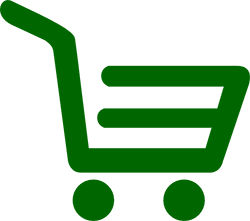 I have experience running WooCommerce websites and can suggest plugins and anti-fraud solutions to help your eCommerce store be secure and profitable.